How does the left think that normal people are going to react to the left’s rejection of the idea of rational discussion and debate and it’s attempt to keep them from participating in their own governance? What does the elite think lurks at the bottom of that slippery slope? Do liberals think the normals will A) meekly submit to abuse and be cowed into submission, or B) that the normals will grow even more militant and make their voices heard in other, nastier ways? Spoiler: The answer is B. Donald Trump is just one manifestation of the blowback against the rule-by-contempt our alleged betters currently practice. And if the election of The Donald doesn’t convince them to change their ways, what will come next will not be anywhere near as pleasant. The principle of reasoned debate is critical. If the American people can’t use reason to determine how to govern our country then that leaves…hitting each other over the head, which kind of defeats the whole purpose of having a democratic republic. Now, the problem for liberals is that when we reason, they lose. Leftism has a historical track record unblemished by success, and that includes its effeminate little brother American liberalism, whose greatest hits include rampant crime, welfare cheats, and national decline. This legacy of failure is why the goateed durwoods lurking around campus coffee shops in berets and ironic Army surplus jackets always insist to anyone within earshot that “True socialism has never been tried.” Hope springs eternal in the hearts of Marxists, but the rest of us have too much common sense to buy that nonsense. So, being unable to convince the normals that they have nothing to lose but their chains, our liberal pals have simply given up on the idea of convincing anyone of anything at all. Instead, they are opting for the hitting-over-the-head solution, except their clubs are not wooden. Their clubs are institutional and cultural. They seek to eliminate our ability to speak – that’s the de-platforming part of their scheme. They want to eliminate any venues for dissenting argument. Europe is their model – there, you can actually be arrested and imprisoned for saying words. Think about that – they do, and it gets them all excited and sweaty. They would love to do it here – do you have any doubt that the Democrats, back in power, would ban “hate speech,” and do you have any doubt that “hate speech” would be defined as pretty much anything we are interested in saying? Don’t believe me? Just look at the one area where American liberals have nearly total power, academia. There’s no freedom of speech there, none. Conservative speakers, on the rare occasions they are invited in, are immediately driven back out. Professors punish students who refuse to buy into liberal lies about our country, about the climate scam, and about whether the list of all possible genders consists of more than boys and girl and that is all. Squads of purple-haired and pierced mutants who can’t figure out which bathroom to use wander our campuses, a SJW stasi seeking out and punishing dissent. That is the liberal utopia – total control of the flow of ideas, total submission to the liberal elite. They would eagerly turn the whole country into Gumbo State University if they could, and we normal people would all end up majoring in Obedience with a minor in Toiling to Subsidize Deadbeats. But in America outside of academia, liberals do not have total control, and this frustrates them because people are still free say to things they don’t like and that’s awful and terrible and bad. They reject the idea of reasoned discussion because the idea of discussion raises the possibility of ideas contrary to leftism, and leftism always wilts under the harsh light of reason. They can’t tolerate discussion or reason, so they must undermine the principle. Reasoned discussion requires good faith argument – an argument that accurately characterizes the opposing view and refutes it with facts and evidence. But since liberalism can’t refute conservative arguments with facts and evidence – history and human nature are insurmountable obstacles – they need to attack arguments normal people are not making. It’s a bad faith strawman strategy, and it often manifests itself in the New Obtuseness, the stubborn insistence that what someone just said is something entirely different than what he actually said. It’s basically fancy lying. 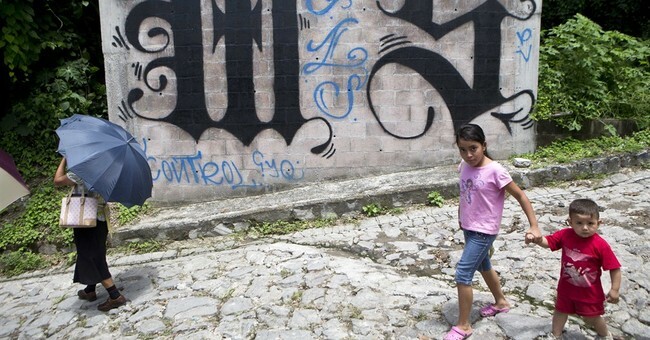 The New Obtuseness was in full effect recently when Trump called MS-13 dirtbags “animals.” Despite the video of him discussing these evil gangbanging scum, the liberals and their media windowlickers insisted that he was calling all illegal aliens “animals.” And they knew it wasn’t true – they just lied, knowingly and intentionally. They do it all the time. We, presumably, are supposed to disbelieve our own lying eyes and ears. And this ploy is getting more common. For example, the NRA rejection of the idea of an unaccountable government bureaucracy being able to ban citizens from exercising a key natural right merely by putting their names on a list that has demonstrably been proven to be full of errors becomes “The NRA wants to let terrorists buy guns.” Of course, that fits in with how all of us NRA members are terrorists because we refuse to give up our rights because of some crime we didn’t commit. The New Obtuseness is a fresh take on old-fashioned dishonesty. Then there’s the idiotic idea that Texas Lieutenant Governor Dan Patrick thinks exits cause school shootings, because conservatives deny exits or something. Apparently “Do something” only means disarming innocent citizens and does not include doing anything that might actually address the problem, like hardening the target by limiting access as occurs in every other single secure area in our society. The New Obtuseness counts on you being stupid. I experienced it when liberals and their Never Trump poodles collectively wet themselves screeching that I was advocating a second civil war in a column expressly and repeatedly stating the precise opposite. And I have $100 that says some commenter or social media idiot repeats that lie about this column too. Now, this tactic really doesn’t work – no one who can count to 21 without taking off his shoes and pants buys this baloney – but it does make the normals really, really mad. While using the New Obtuseness feels good right now – take that, Trump! – it’s not a good long-term strategy and a two-edged sword. Any strategy that makes you effectively defend MS-13 is a poor one. I can’t wait for the campaign ads this fall. This kind of rhetoric doesn’t inspire normals to give up and allow the left to win the fight over policy by default. Instead, it encourages normal people to tell their opponents to molon labe. Double down on democracy, liberals, because you won’t like what’s at the bottom of the slippery slope.